This will be my first official post from Balsam lake, probably one of many this summer. How do I set the scene here? Imagine you woke up warm, filled that stomach with scrambled eggs, salsa and bacon (a hidden surprise), toast and coffee. Then went out to a porch to enjoy the day. Imagine that, I drove up here from Toronto to stare at the rain…..
but we’ve got ping pong. 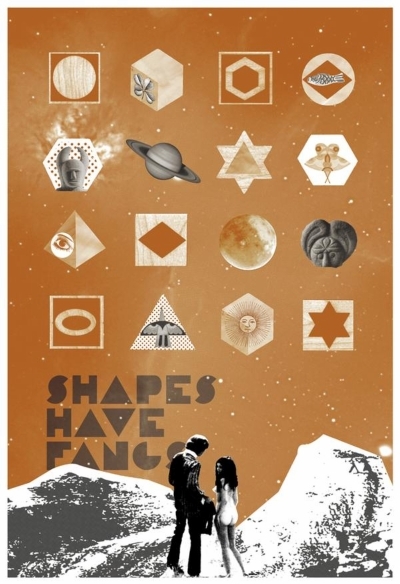 Check out this video for The Spectre by Austin’s Shapes Have Fangs. Reminds me of a rockier version of Wolf Parade. Been warming up to this band quite a bit lately. Take a listen to Born On Holiday on their myspace page. Shins fans, you might enjoy this.